After Wednesday’s publication of a media frenzied statement released by State House in Freetown, which is described by the government as a “bonanza for health and non-health personnel”, questions are being asked as to why it has taken four months for the government to respond to the needs of doctors, nurses and Ebola burial staff. Why is the government playing politics with the emotions and lives of those brave enough to put their lives at risk and those of their loved ones, by going to the Ebola war front? Why all of a sudden the government is now patting itself on the back with its insensitive “bonanza for health and non-health personnel” headline grabbing stunt? Why is it that when ministers want more cash to pay for their non-budgetary profligacy, they can always run to the Bank of Sierra Leone to borrow, and yet cannot do the same to help save lives? Why has the government waited four months, and until the international community can come up with cash, before listening to the voices of hungry and thirsty Ebola patients, lying next to dead victims of the virus that are yet to be buried? Why has the government waited until doctors, nurses and Ebola grave diggers refused to carry on putting their lives at risk, for a government that is showing little respect for the dignity and sanctity of the lives of its own people? Why did the government in just one single year, grant tax waivers to foreign companies, valued at over $240 million – twice the total amount of money spent by the government on health and education put together? What happened to the billions of dollars collected by the government from foreign aid donors since 2007? 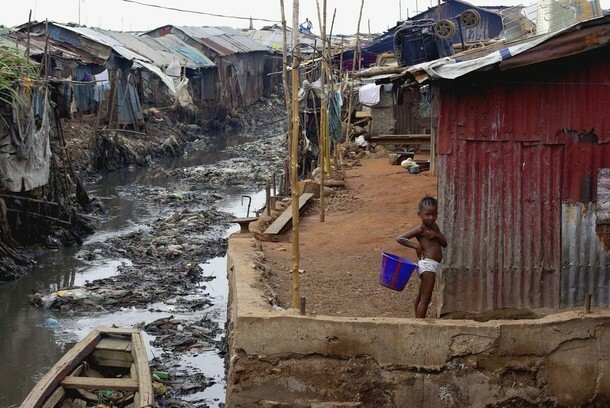 The people of Sierra Leone may be amongst the poorest nations in the world, but they have their pride and dignity, which are now being trampled upon by those with the means and power to eradicate this deadly virus and save lives. These are the words of a retired medic, posting on social media: “Kenema is in a major crisis with regards to medical care given to the Ebola patients. The mortality rate in the hospital has increased significantly over the last few weeks. 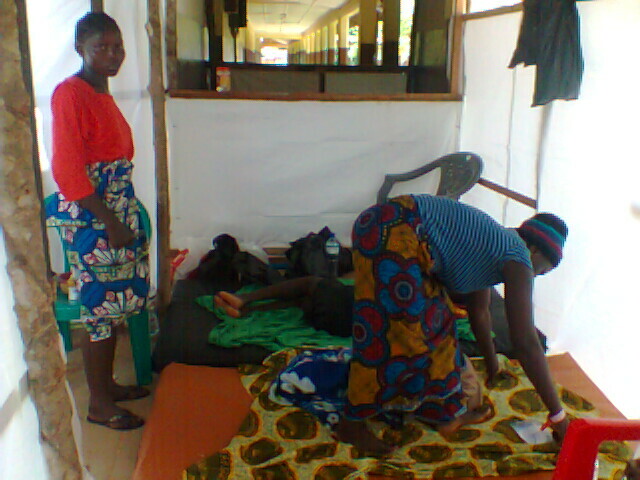 The death of Dr. Rogers and four other nurses in Kenema had instilled fear and panic amongst the health care workers. “It is really tough as a health care provider to see your colleagues dying and nothing is being done. 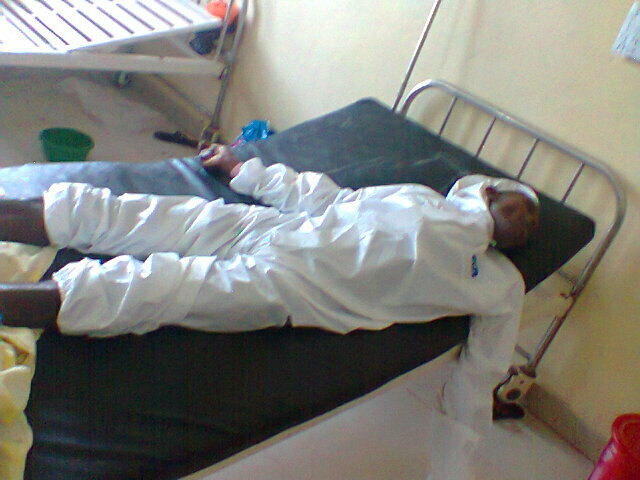 Virtually every medical personnel who had been infected with ebola have succumbed to the disease. This is certainly not good. Ever since we started this war against Ebola, I’ve now received my first risk allowance. Le 200,000 is what I received. “We are not talking about the money, as Le 200,000 cannot even pay my driver. We are talking about the respect and dignity we are not receiving from the authorities. “The pace at which the ebola crisis is going, we desperately need international medical intervention to salvage the problem. There is no more trust in the populace either from patients or from the medical personnel. What kind of government treats its own people like that? These are the very people who pay the taxes that ministers rely on for their lavish lifestyles? If there is no sense of compassion in supply within government, then where is the sense of ‘enlightened self-interest’? Yet the government has the temerity to refer to the miserly Le 82.1 Billion – equivalent to US$18.2 million, it says it is now generously going to pay out to doctors, nurses and others that are fighting to save the nation from annihilation, as “Bonanza for health and non-health personnel”. So, as the result of the generousity of the government – for which we must all, now feel grateful, health workers are now being ‘promised’ an enhanced salary package, for putting their lives at risk to save taxpayers’ lives. 1,500 Treatment Centres staff are to get an additional Le500,000 a week; those burying the Ebola dead – a total of 250 workers will also receive Le500,000 a week; 438 staff working at the Holding Centres and 80 laboratory technicians should now receive Le400, 000 a week. But there is an unknown huge number – 8,000 in total, which the government says are ‘people working in the community’ that will be receiving Le200,000 a week. Are these Ebola ghost workers, or are they ruling party supporters that are being bribed to do the government’s dirty laundering? 2,340 contact tracers and screening personnel will each be receiving Le100, 000 a week. The government says that this “Bonanza” will be jointly funded by the World Bank, the Global Fund, the United Nations Population Fund, including Le29.7 billion – some of the huge sums of money it has so far received from donations. But the $18 million Bonanza will only last for a period of six months, when it is hoped that the virus would have been eradicated, as scientists in China, America, Canada and Great Britain discuss the initial findings of drug trials at a WHO conference. In the meantime, the Chinese are speeding ahead with the media launching of what they believe to be the first commercially available treatment for the Ebola virus. China says that the drug – JK-05 has come about as the result of Ebola treatment research carried out in the last five years. The British worker, who contracted the virus in Kenema, Sierra Leone and was dramatically flown out in a Hollywood blockbuster style to a high-tech London Hospital for treatment with the American Zmapp drug, has been discharged from hospital. He is now well and sound, and believed to be Ebola free, whilst the government of Sierra Leone plays “Bonanza” with the lives of six million people, whose daily existence have been reduced to receiving food parcels, handouts, and burials in unmarked graves. The total number of Ebola cases in Sierra Leone now exceeds 1,100. And over 450 have died. “Thirteen members of a family of twenty have died in the same house at New London in Makeni. 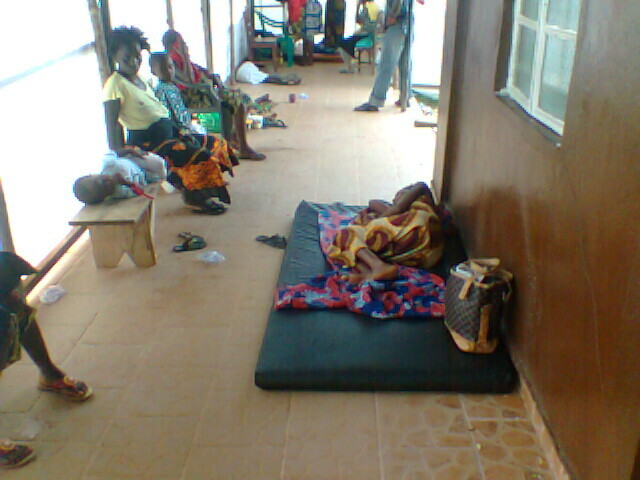 Two others are currently very ill at the treatment centre,” says report from Makeni. “Tens of community youths recently held a demonstration at Marjay Town in Freetown’s Rural District. The youths protested against an abandoned corpse that was left to rot in their community. The suspicion was that the deceased died of Ebola and as the residents tried calling 117 several times without any immediate response, thus the reason for the protest. The demonstration was quelled down by the police and the matter has been resolved,” says Awareness Times. 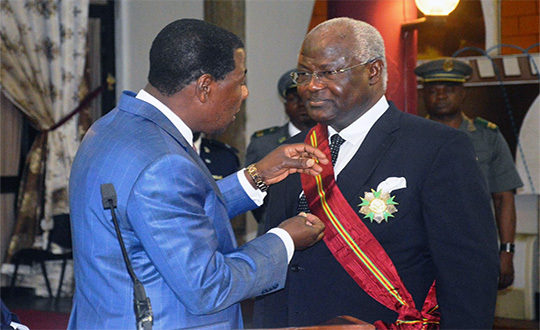 What has happened to human dignity in Sierra Leone? It is interesting when talking about the Government’s “bonanza for health and non-health personnel” to note that the State’s contribution to this amount of 82.1 billion Leones is just about 29 billion Leones, a mere one-third. And this is coming only now after Parliamentarians had each received a huge Christmas package of 63 million Leones for ‘sensitisation’ of their constituencies over three weeks ago. The poor doctors and nurses had to go on strike for improved salaries after seeing their colleagues die while treating Ebola patients. In the first place it was insensitive and discriminatory to ignore the frontline medical personnel and give the Parliamentarians a Christmas bonanza ahead of them. The treatment and care providers should have been given priority over the sensitisation exercise by Parliamentarians, a work that other groups have long been doing with less funding.